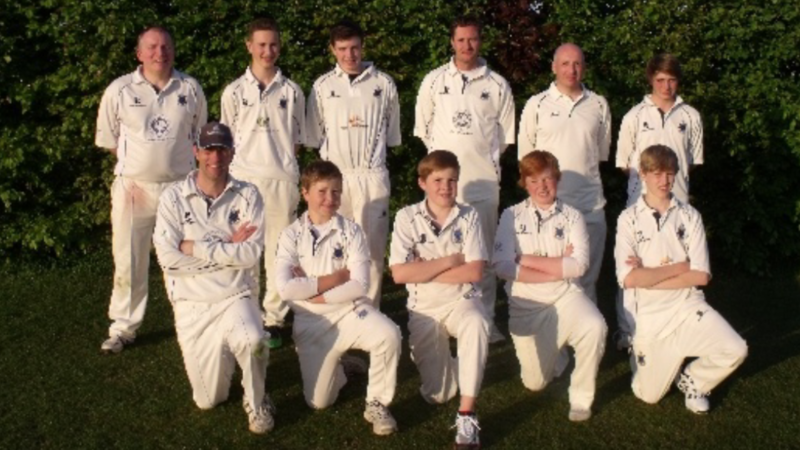 Twyford CC have re-started Sunday senior cricket after a 6 year break. Twyford's team consisting of six U13/14's, plus a number of more senior players asked Great Horwood to bat first in soaring temperatures. The juniors (Ethan, Henry, Bill, Cameron, and Billy) all bowled very well with Henry and Bill both taking 2 wickets. Horwood batted well late on and finished on 254-7. It was a fantastic effort by everyone on a very quick Twyford outfield. Twyford mixed up the batting order and again all the juniors batted very well in what for most of them was the first time playing 40 over cricket. A number of excellent batting performances included Henry top scoring with 36, Simon with 30, and Billy with 12 saw Twyford bat the 40 overs (an achievement in itself with 6 juniors in the team)to finish 136-9. It was an excellent performance played in a very positive spirit. Our thanks to Great Horwood for the way they played the game and congratulations to them for a fine win.